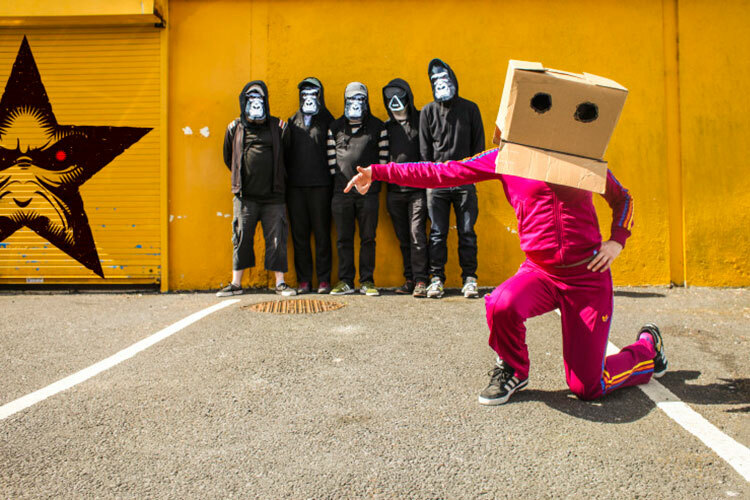 King Kong Company have “21st century swagger” (Irish Times) are “festival legends in the making” (Irish Examiner) and are “the best live act in Ireland today” (Pure M Awards). Described as a “dubbed up Prodigy, a reggae-d up Chemical Brothers or a danced-up LCD Soundsystem” King Kong Company are most likely better summed up as a band that sound like a DJ playing at a party you wish would never end. That ‘festival legends in the making’ comment comes from a series of mind melting performances at Irish & UK festivals in the last year. There were 10,000 revellers screaming their hearts and lungs out at King Kong Company’s Electric Picnic mid-afternoon rave. There was the gig that set Townlands ablaze (literally) and what about that 2am slot at Body & Soul? If you can remember that, were you really there? This is the band that have their own Buckfast infused beer named ‘Commotion Lotion’, who played a private gig at Aras An Uachtarain and asked the President of Ireland if he was ‘getting anything off that’, who took their award winning show on a 15 date tour of the UK and Ireland and where, on the final date at The Academy, having had the sold out audience eating out of their hands, there was a marriage proposal. You don’t know what you’ll get at a King Kong Company gig. King Kong Company in 2019; new show, new tracks, same crazy.